The Global Citizen without a Country? Today’s global citizenship movement emphasizes human rights disconnected from the history of any particular nation and without a clear conception of human nature. Within a few years of the September 11 attacks, anyone on a university campus could observe the steady growth of programs and institutes promoting global citizenship. By 2009, a number of my students on a study-abroad trip to the Middle East preferred to be known as global citizens rather than Americans. President Obama, who had proclaimed himself a “citizen of the world” the previous summer, was inaugurated the night we climbed Mount Sinai, and even the brand of water we purchased at the summit— “Baraka”—seemed to proclaim a new world order. Of the top fifty U.S. News & World Report national universities, 60 percent have programs that identify or describe themselves in terms of global citizenship. So do over half of the top twenty-five colleges. Nearly all of these programs were founded or re-branded since 2001. This is remarkable, but understandable: who would deny that we have responsibilities to the rest of the world, or that we have loyalties beyond our own country? Who doesn’t want our universities to teach more effectively about the rest of the world? The promise of global citizenship is as expansive as the rhetoric at the opening of a new session at the UN. Unfortunately, it’s often just as empty. To re-phrase H. Richard Niebuhr, this movement often imagines that citizens without countries will bring humans without a nature into society without culture through laws without foundation. Actual citizenship entails formal membership in a particular political community with legally defined rights and duties. We quarrel over what citizenship means in the US because we have a common vocabulary to describe that membership. By contrast, you can easily lose your path upon entering the thicket of theory that marks the language of the global citizenship movement. In their 2002 book Global Citizenship, Nigel Williams and John Dower define the global citizen as a member of the wider community of all humanity, or some whole that is wider than that of a nation-state. This membership involves a significant identity, loyalty, or commitment beyond the nation-state. The global citizen who gets the highest praise typically works for a secular nongovernmental organization (NGO) such as Greenpeace, Amnesty International, or Doctors Without Borders. But the definition would also apply to the adherents of any world religion and to many employees of multinational corporations. Still, none of these people has actual political membership in a global community where he must “rule and be ruled,” as Aristotle described the citizen. Religions and NGOs are not self-sufficient. Their members don’t have to debate policies that radically affect everyone in the community where they live. Above all, members’ participation is voluntary, unlike that of a citizen. Their loyalties may be “dissolved by the fancy of the parties,” to quote Edmund Burke’s critique of the revolutionary notion of citizenship in France. In short, they may contribute to the civil society of one nation, or several, but they are not “citizens” of any global entity—and some of the theorists admit as much. The problem is not that the movement uses the term “citizenship” loosely. The problem comes from its view that citizenship in an actual country is merely arbitrary or contingent. Theorists of global citizenship often appeal to Diogenes’ famous declaration: “I am a citizen of the world.” Like him, they deny that any actual political community can compete with their allegiance to universal human rights and global justice. But in fixing a gulf between the temporal and the universal or spiritual, they often fall into that classic Western temptation: Gnosticism. For them, the place of one’s birth is merely accidental—“morally irrelevant,” to use Martha Nussbaum’s phrase. As their critics point out, they place little value on the legal, social, and cultural histories of the countries that have protected the rights and established the social benefits they champion. Instead, their faith is in lists of principles that will be carried out sometime in the future. When looking for a paradigmatic world citizen, these writers often point to Thomas Paine, Burke’s most famous antagonist. “My attachment is to all the world,” he wrote, “and not to any particular part.” Paine was good at stirring up the revolutionary spirit in 1776, but John Adams rapidly concluded that Paine had “a better hand at pulling down than building.” Eager to drum up American support for the revolution in France, Paine tried unsuccessfully to win George Washington over to the cause. 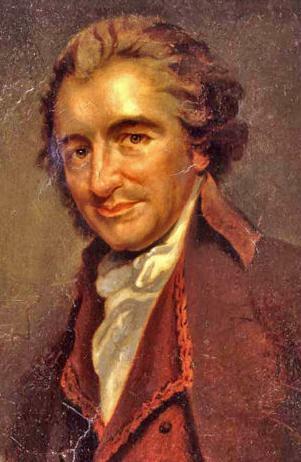 As an honorary French citizen, Paine accepted a seat in the National Assembly, despite his poor understanding of the language. Thrown into prison during the Terror, he blamed Washington for not springing him free. It seems that the world citizen was now claiming American citizenship and the rights pertaining thereunto. Paine’s story captures the problem perfectly. If you’re attached to the entire world, you needn’t even learn the language of the country you’re legislating for. But if you get in trouble, complain to Washington. It’s impossible to read the material on global citizenship without respecting its adherents’ commitment to human rights, peace, and global access to education, medicine, clean water, and food. Yet theory is the lifeblood of the global citizenship movement, and that theory is usually abstracted from actual practices and particular societies. “The core of the cosmopolitan moral orientation,” writes Luis Cabrera, “is that individuals, not states, nations, or other groupings, are morally primary.” That often means individuals are considered apart from their actual, social lives. this sort of people are so taken up with their theories about the rights of man, that they have totally forgot his nature. Without opening up one new avenue to the understanding, they have succeeded in stopping up those that lead to the heart. “Human nature,” “perfection,” “virtue”: these terms rarely come up in discussions of global citizenship. But without a common language for inquiring into the nature of humanity as something other than an arbitrary social construct, how can we agree on human rights? Like Thomas Paine, most theorists of global citizenship have little interest in the complexities of the actual societies and governments that mediate between the individual and the universal community. One can read book after book on global citizenship without learning anything about any particular culture. This paradox has its source in “the cosmopolitan orientation” that Cabrera described: the individual is morally primary, not the nation or any other grouping. Unfortunately, in seeking to create sympathy for individuals around the world, cosmopolitanism systematically devalues the affection that most people have for their home culture. 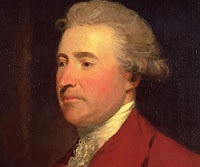 Once again, the contrast with the career of Edmund Burke could not be more revealing. Although Burke’s fame rests on his criticism of the French Revolution, his last fourteen years in Parliament were equally concerned with Britain’s mistreatment of the peoples of India. To that end, Burke led an impeachment effort against the Governor-General of Bengal, Warren Hastings. Burke became intensely interested in the land and peoples of India; he studied the Qur’an, pored over maps, examined Muslim and Hindu sources of law, and hosted the high-caste Brahmin who came to Britain to plead the case of the Mahratta people. Creating sympathy for India was difficult. In his India speeches, Burke stresses similarities between Indian and British customs as seen in particular religious, social, or legal practices. By pointing out the affinities between the customs of British and Indian cultures, Burke tried to pass along the sympathy for India that he had begun to feel. At a deeper level, he argued that when customs and laws benefit a people, however alien they appear to us, they show their faithfulness to the underlying natural law that governs the cosmos. Burke’s appeals to natural law, Providence, and justice are inseparable from the actual laws, customs, and misdeeds of people, both in Britain and India. His globalism is the opposite of that of the contemporary global citizen. Burke finds the universal embodied in the actual practices of citizens and the natural expressed in local customs. Burke did not conceive of India as an inferior, exotic “other.” It was precisely his attachment to cherished British cultural forms that enabled him to see the value of India’s analogous but different traditions. For Burke, sympathy moves from the heart to the understanding by way of the moral imagination. Particular, embodied persons and institutions come first, along with the affection and sympathy they create. I impeach him in the name of the Commons of Great Britain in parliament assembled, whose parliamentary trust he has betrayed . . . I impeach him in the name of the people of India, whose laws, rights and liberties he has subverted . . . I impeach him in the name and by virtue of those eternal laws of justice which he has violated. I impeach him in the name of human nature itself, which he has cruelly outraged, injured and oppressed, in both sexes, in every age, rank, situation and condition of life. Burke begins with the specific “parliamentary trust” that Hastings has betrayed and only then moves to the “eternal laws of justice.” His principles are general, but they are not abstracted from the situation in which they arise. They are universal but, unlike the French revolutionaries’ language of rights, they cannot be disembodied from their social context. Reading the theorists of global citizenship is a different experience in every way. They reject the rational, divinely ordered cosmos of Burke. Like other postmodern thinkers, they are skeptical of narratives that try to describe a society’s history over time. They consistently downgrade our obligations to the communities into which we are born. Instead, they put forward lists of principles (equal worth, autonomy, etc.) that aspire to universal acceptance and binding obligation. Once we depreciate the ways in which actual societies have justified their laws and traditions, however, it’s hard to imagine much enthusiasm for founding a global society on such general principles. A rare exception to this approach is Kwame Anthony Appiah. Like Burke, Appiah reflects critically and sympathetically on various stories, customs, and images from his past. Raised in Ghana, Appiah’s cosmopolitanism is rooted in conversations with people about particular novels, histories, films, and works of art and philosophy—not in abstract principles. His few universal beliefs seem to arise naturally from these conversations. Like Burke in his India speeches, he provides a model of listening to voices from other cultures, of optimism that a generous mind can gain moral guidance from them, and of affection for the people, institutions, and customs he encounters along the way. When I returned to Egypt in 2012, a year after the January 25 revolution, I heard nationalistic language and saw nationalistic imagery. I didn’t miss the absence of global rhetoric, but I would have felt more optimistic about the future if these affections had lined up with the second half of Burke’s approach—an underlying order that goes beyond Egyptian politics or an Islamic society. Obviously, successful legal reforms in any contemporary country would differ from anything Burke had in mind. Still, his way of going about that task has much to teach our cosmopolitan age. Ultimately, he passes down to us an embodied version of a familiar phrase: love your neighbor as you love yourself. We cannot do better than that. Daniel E. Ritchie is Professor of English at Bethel University in Minnesota. This article was written with research assistance from Amy Riggins. They would like to thank the Edgren Scholarship Fund of Bethel University for research support. Original publication by Daniel E. Ritchie, September 4th, 2014. Re-published by Globcal International as a significant article on the topic of global citizenship.